Posted on September 12, 2018 by Michelle M.
Cooper is finally on Instagram – yay! 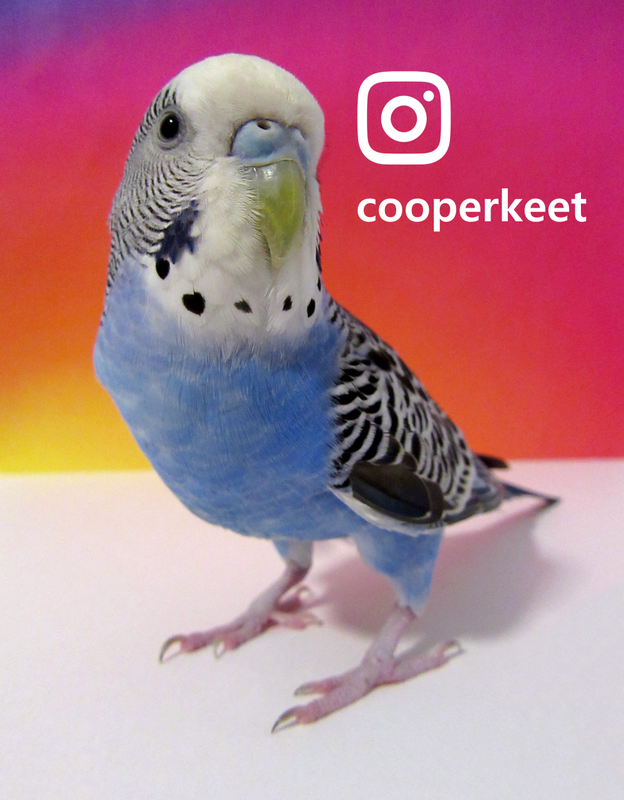 If you would like to follow her, you can find her here: cooperkeet. This entry was posted in Cooper and tagged budgie, Cooper, Cooper Instagram, cooperkeet, Instagram budgie, parakeet by Michelle M.. Bookmark the permalink.